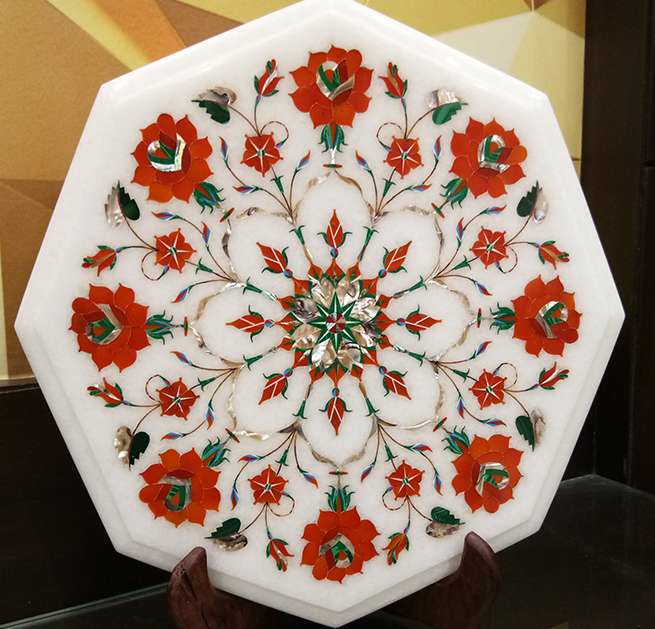 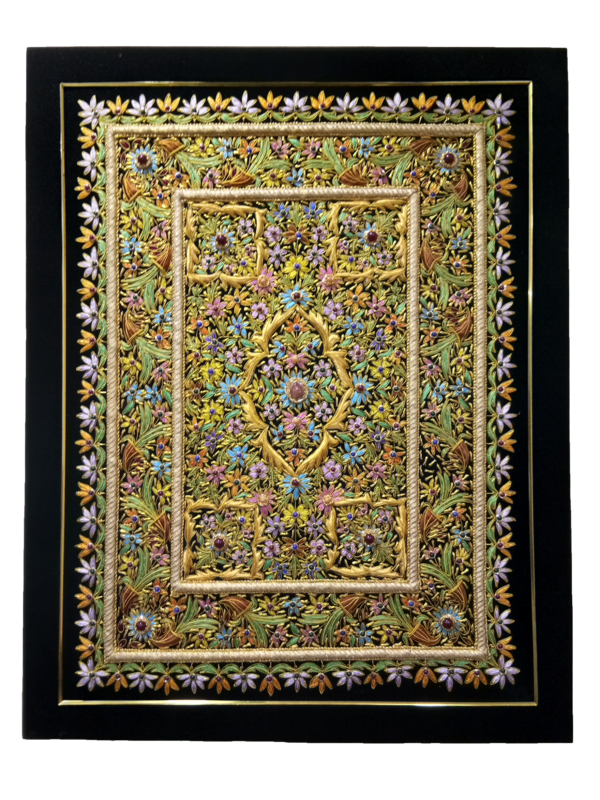 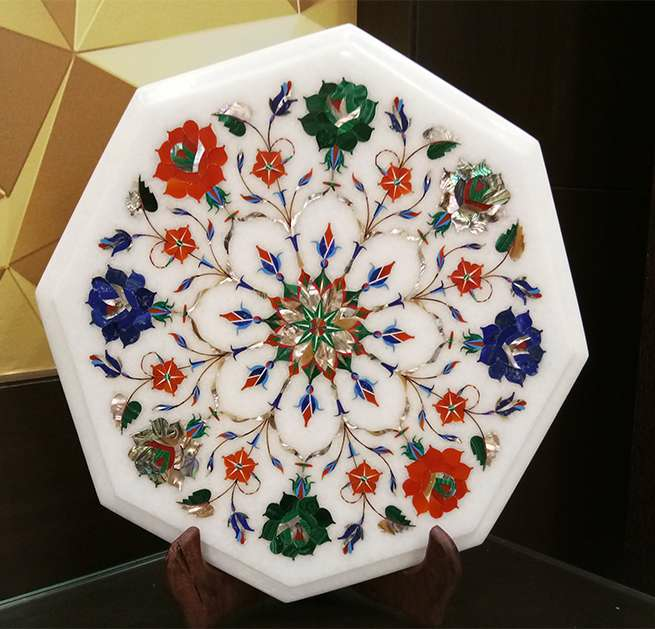 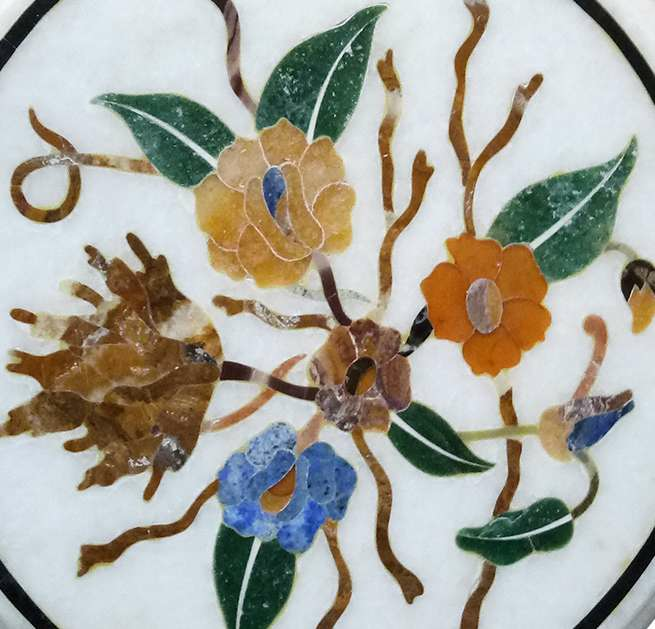 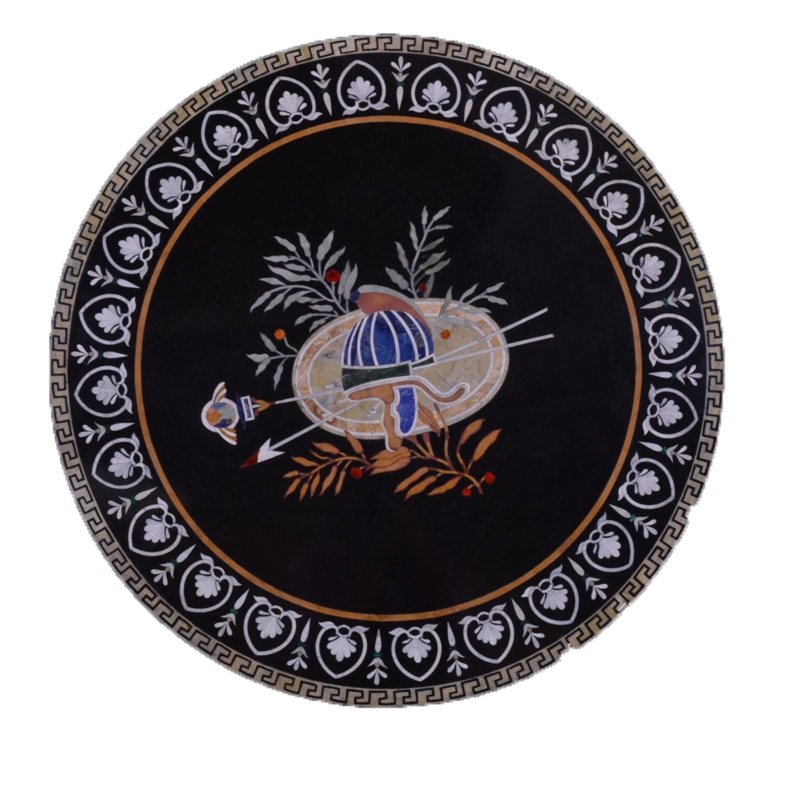 We Inlay Marble Crafts deliver an extensive variety of Marble Inlay Round Mosaic Table Tops which are accessible in various shapes, sizes and shades of decorating craftsmanship. 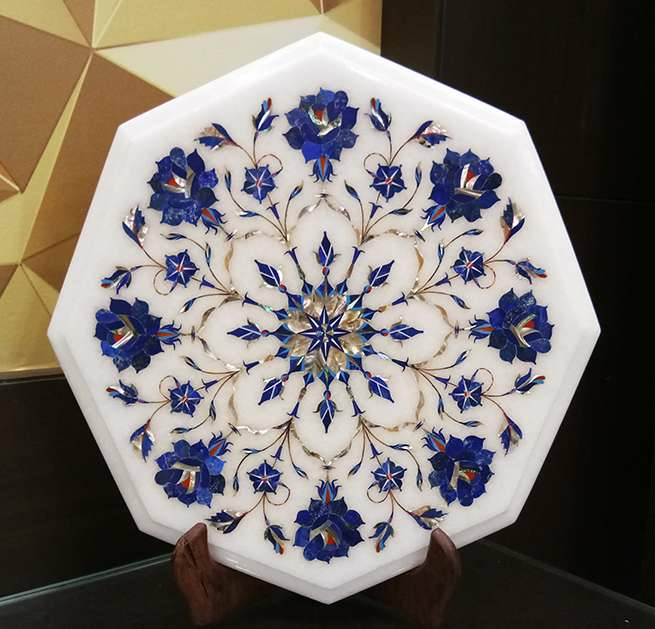 We take huge care to decorate configuration Marble Inlay Round Mosaic Table Tops best items utilizing the amazing crude material. 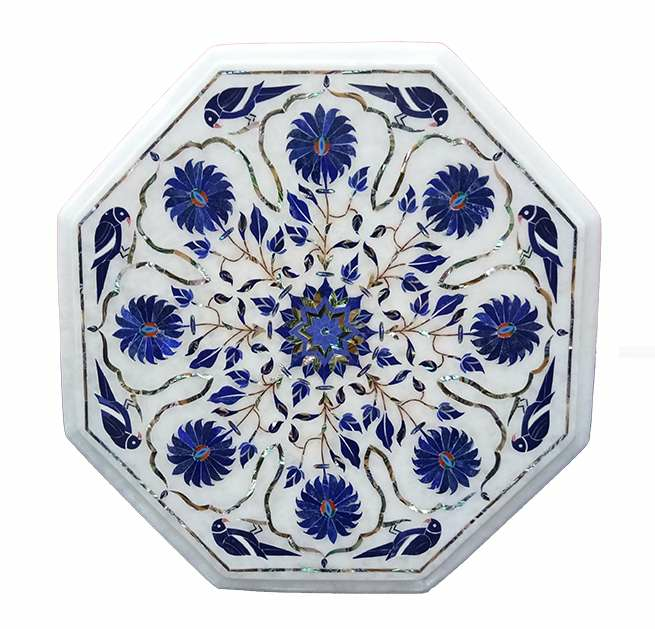 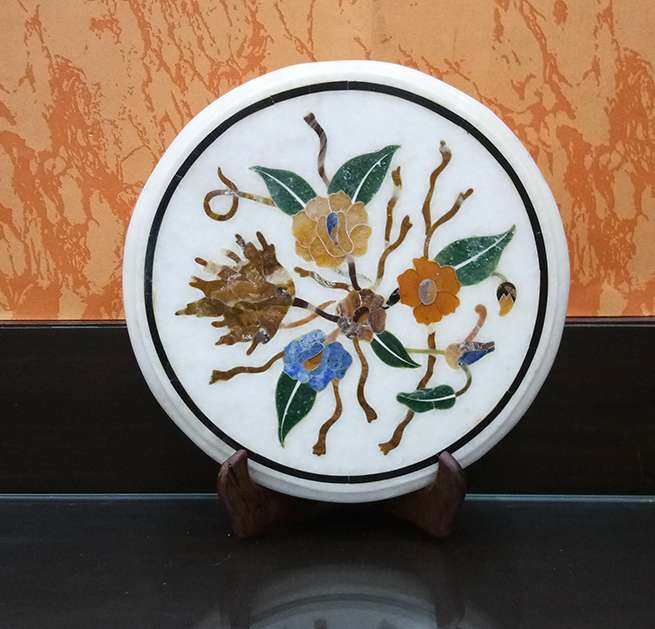 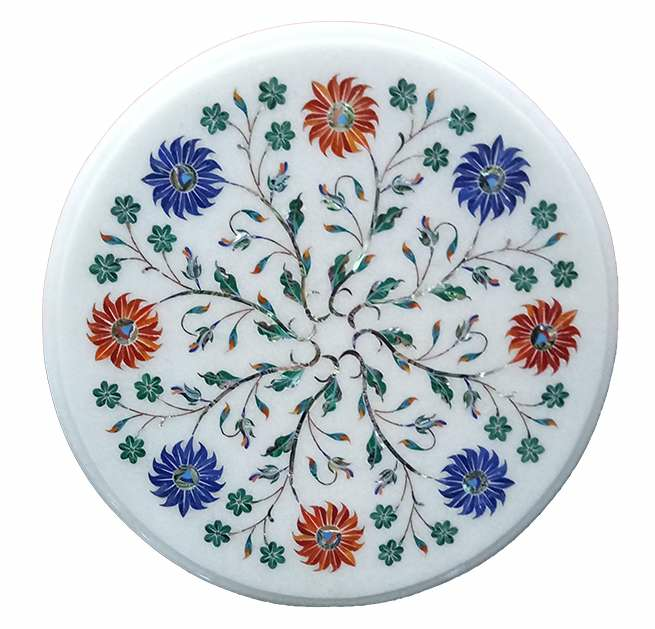 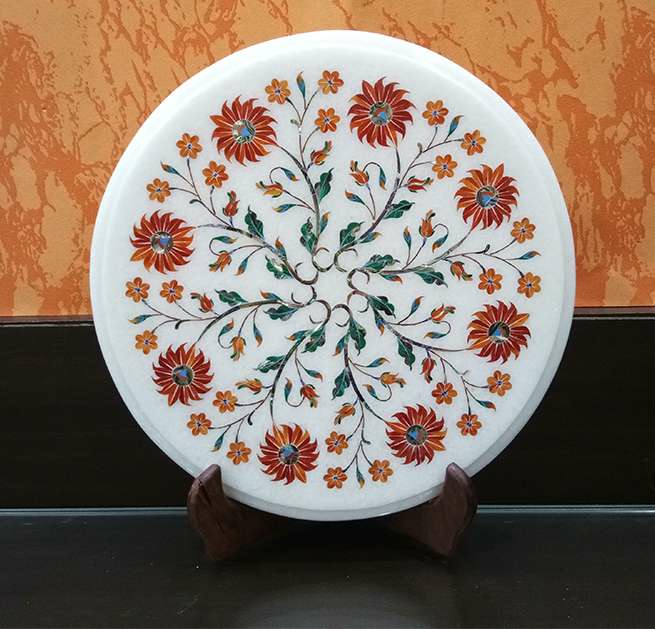 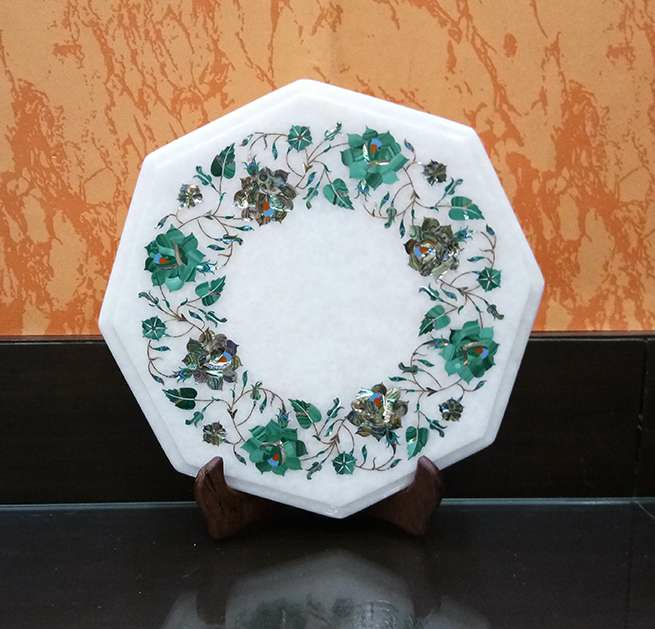 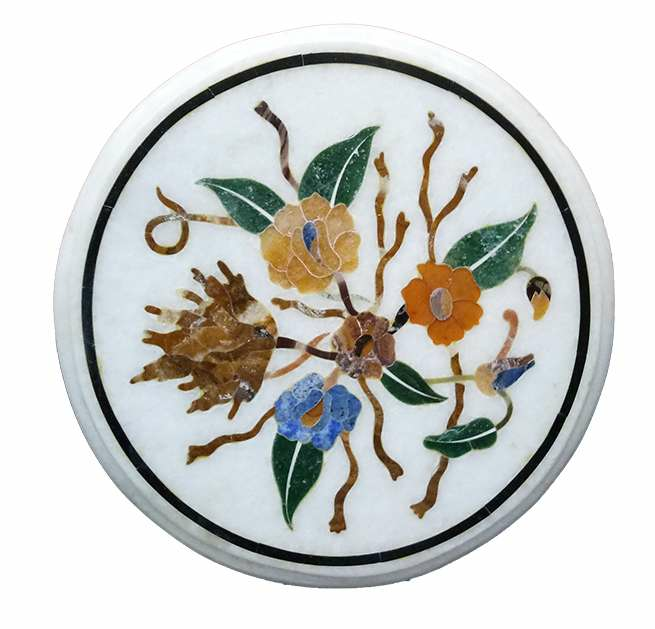 These Marble Inlay Round Mosaic Table Tops can be handcrafted according to the necessity of our customer. 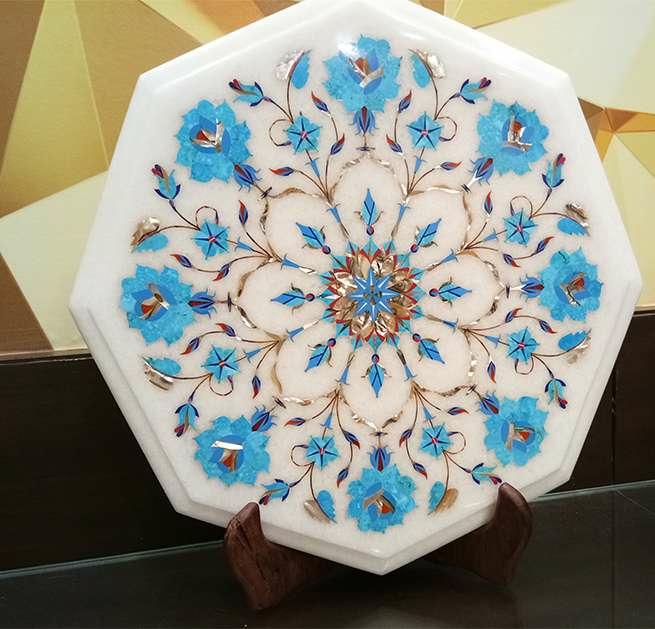 Further, this flawlessly crafted Marble Inlay Round Mosaic Table Tops range also comes with a superior polished surface finish that enhances its overall finish appeal.